I usually don’t post many videos here, but this one is an exception: John Hess from the amazing website Filmmaker IQ talks the viewer through the History of Aspect Ratios from the beginning to end. It’s actually the first of a two-part course called Everything you need to know about Aspect Ratios, the second video is called Composition Techniques for Widescreen Aspect Ratios. This ties in wonderfully to the Film Format Guide and should be required viewing for everyone interested in how movies are made. I’ve often written about Time Team here, so this is the right place for the incredibly sad news that archaeologist Mick Aston, one of the founders of the series, had died yesterday unexpectedly. 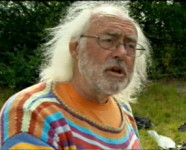 He was a true original and the real heart of Time Team, not only with his vast archaeological knowledge, but also his unique enthusiasm for his profession and, of course, his trademark appearance with his colourful striped jumpers. But Mick Aston was much more than the funny-looking professor – he was a great communicator who wanted to tell the world that archaeology and history does not have to be stuffy and boring – and in this he has really succeeded. Time Team is his greatest legacy for which he will never be forgotten. The Guardian has a short article, tributes and condolences are flowing in on the Time Team Facebook page and his colleague and friend Francis Pryor has also written a short tribute. Also yesterday came the equally sad news that science-fiction author Richard Matheson has died – he was one of the really great minds next to Isaac Asimov, Richard Heinlein and Arthur C. Clarke. It has been very slow going here on DVDLog because of the hot weather and I haven’t managed to write anything new yet. But why not write about someone else’s work for a change? 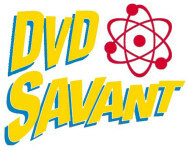 There is somebody who I would really like to introduce properly, because he has been so generous to mention me on his site very often: Glenn Erickson, better known as DVD Savant, who is not only a world-class movie, dvd and blu-ray reviewer, but also a film editor with an amazing history. Glenn has been writing on the web for now more than fifteen years, starting as the MGM Video Savant before becoming DVD Savant first at the now unfortunately vanised DVD Resources and later moving to DVDTalk – and he also writes for Turner Classic Movies. His output rate is amazing, he usually updates twice a week with three reviews each, and every of his words is worth reading. Glenn specializes in classic movies with a penchant for the obscure and virtually unknown, but sometimes also writes about current releases. He has an encyclopaedic knowledge about film classics and his articles often contain exhaustive original research, making them much more than simple reviews. They are always fascinating and interesting to read, even if you know nothing about the movie in the first place, because this is Glenn Erickson’s goal: to get his readers interested in the movies he cares about. Glenn Erickson has also published two books with his reviews: the first, simply titled DVD Savant in 2004, followed by Sci-Fi Savant in 2011 – which, I must unfortunately admit, have still not bought yet for budget reasons. But all his reviews, hundreds of them, are archived on his website and I can only urge you to go over there and dive into Glenn’s brilliant world of film history. He is a huge inspiration for me and one of the reasons I still keep on writing – so, thank you, Glenn, for letting us take part in your continuing adventures in the land of movie history! The flight of Apollo 11 to the moon is one of the best-documented events in human history, but some stories revolving around it are less known. The four Australian filmmakers Rob Sitch, Santo Cilauro, Jane Kennedy, and Tom Gleisner, better known as the Working Dog team, had set out to tell one of them: the involvement of a radio telescope in a small Australian town in the moonwalk. The Dish is one of the most astonishing movies about the Apollo 11 mission, telling the story from a completely unique perspective. Wonderful actors, a compelling and funny script, beautiful cinematography and great music make it a truly amazing movie. My article about the movie and the equally fantastic DVD is based on several older German-language reviews, but it’s actually a thorough re-write with much new information and not only a simple translation. This review is dedicated to two very special people: the Australian singer and songwriter Meri Amber, who has exactly the same wonderful humor as the filmmakers, and the American astronomer Nicole Gugliucci, who has a deep affection for radio telescopes of all kinds. The fifth and final review in the series celebrating the 30th anniversary of Terry Pratchett’s Discworld is Going Postal, the latest live-action adaptation made by the british filmmakers of The Mob in 2010 after Hogfather and The Colour of Magic. This time, the script did not follow the book too closely and there were some questionable changes to the original story, but the movie made it up with an inspired casting, brilliant visuals and a perfect atmosphere matching Terry Pratchett’s unique universe perfectly. As a slightly alternative re-telling the movie is brilliant and fortunately the equally great DVD and Blu-Ray releases came only three months after the broadcast premiere. This is the last Discworld article here on DVDLog for now, but I’m going to write something about the three adventure games soon over on my other blog. Also, sorry for the delay – I’m trying to do weekly updates, but occasionally time just seems to run away!